On Friday Daniel Solis, 5, died from injuries sustained when a pick-up truck driver struck him in McKinley Park last Wednesday. On Wednesday, March 15, at 8:08 a.m., the boy and a 24-year-old man were crossing westbound in the south leg of the 37th Street and Ashland Avenue intersection, according to Officer Nicole Tannehill. McKinley Park resident Carlos Arnaud Jr., 41, was heading east on 37th in a 2011 Chevy pick-up when he made a right turn, striking the pedestrians. The 24-year-old man suffered minor injuries and declined medical treatment. Daniel Solis, who lived at the 4800 block of South Honore Street, was taken to Stroger Hospital in critical condition. He was pronounced dead at 5:47 p.m., according to the Cook County medical examiner’s office. Arnaud stayed on the scene. He was cited for failure to exercise due care to pedestrians in the roadway, and is scheduled to appear in traffic court at the Daley Center, 50 West Washington, on April 25. A GoFundMe page established to help Daniel Solis’ family cover medical expenses and funeral expenses has raised over $9,500. 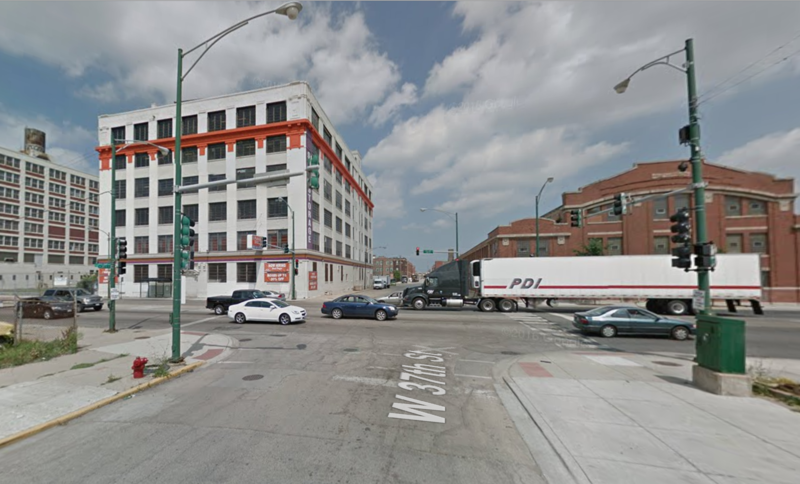 This most recent tragedy is at least the fourth reported Chicago pedestrian fatality within a roughly four-month period in which a turning driver failed to yield to a person crossing the street, including the November 14 death of Noah Katz, 2, in Portage Park.